We guarantee our work will be done within your budget, finished ontime and done right! We have nearly 20 years of experience servicing the Fraser Valley. 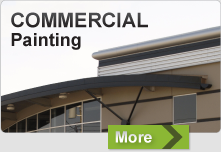 Equity Painters specializes in interior and exterior residential and commercial painting. We serve the Lower Mainland Area, from Hope to Vancouver and surrounding areas. At Equity Painters, we pride ourselves on offering the highest quality of work. We are committed to making sure that each of our jobs are completed on time, within budget and still exceed your expectations. You no longer need to keep searching for experienced Chilliwack painters. 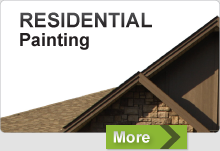 Equity Painters offer the experience you need, and provide the quality service you deserve. There are few other Chilliwack painting companies that can provide the same level of service as Equity Painters. Our painters in Abbotsford BC are some of the most qualified and detail oriented painters in the Fraser Valley. Just view our testimonials to find out why you should hire us for your next painting job. If you are looking for a painter in Chilliwack or Abbotsford, or simply researching Chilliwack painting, then be sure to check out the residential services and commercial services we offer. You will soon realize that we are a full service painting company. We offer interior and exterior painting, as well as commercial and residential painting services. From paint touchups to whole home or business painting we can help. So before you go and hire any other painters, contact us for a free, no obligation quote. We are sure you won’t be disappointed in the services we provide.